Whether a residential or commercial garage, space runs out fast. Instead of cramming all of your storage into space you don’t have, the overhead car parking wire cages are designed to provide extra storage without taking up your valuable space. 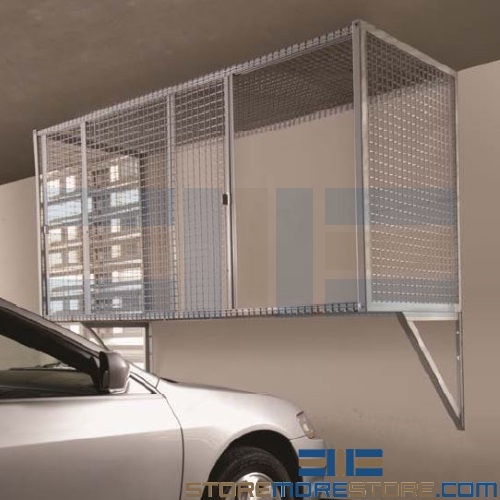 The cages mount to the wall above your parked cars, allowing you to make use of underutilized wall space while still providing ample room for parked vehicles. 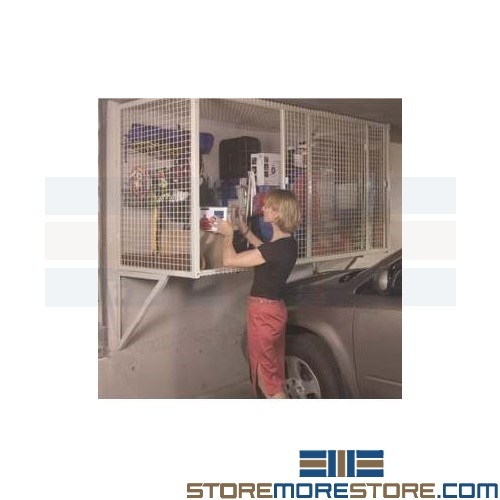 This extra space requires no expensive building modifications so you can assemble and install the cages quickly and easily. Store automotive supplies, sports gear, or outdoor items in one convenient area that is accessible but remains out of the way. The wire mesh construction also provides visibility, safety, and security. The durable wire protects stored items from damage or theft and allows air to flow into and out of the cage, preventing the buildup of dust, bacteria, and odors. Its design works great with existing ventilation, lighting, and fire suppression systems. The wire mesh visibility allows users to view stored items without sacrificing security, making them ideal for residential storage. Click here to shop for overhead car parking cages online. For further assistance, call us at 1-855-786-7667 or send us a message to speak to one of our storage experts.